Q: Annie! It’s great to meet you. Congratulations on your notable academic and professional successes in digital humanities, sound studies and Victorian poetry. Can you explain what kind of work is involved in these areas? A: Thanks! I’d be happy to say a little about these fields. I’m getting my PhD in English at the University of Virginia, and my primary specialization is Victorian poetry, or poetry written in England from about 1830-1900. Within Victorian poetry, I work on sound studies and digital humanities. Sound studies is, broadly speaking, the study of different types of sound in literature – music, speech, natural or urban noise, and so on. My focus is on representations of music in Victorian poetry, so I’m examining poems that focus on particular musical instruments as well as poems that became song lyrics in the Victorian period, and I’m writing my dissertation (a 250-300 page academic book) about them. Digital humanities is, again speaking generally, the use of digital tools and technology either for teaching or for furthering academic arguments within the humanities. There are lots of different ways to be involved in digital humanities—you can come up with projects, manage a project, program or design for a project, or use a preexisting tool to answer a research question—and for my two projects, Songs of the Victorians and Augmented Notes, I’ve had to learn programming and the basic principles of web design to help make my arguments about Victorian parlor and art songs. In general, my time is split between researching and writing for my dissertation, attending conferences where I present my research, building my projects, and teaching each semester. Q: What first inspired you to work with these disciplines collectively? A: I first started bringing music and poetry together as an undergrad at Wellesley College. I was a double major in music and English, and I wanted to find a way to unite my two passions in my honors thesis. I ended up writing on composer Ralph Vaughan Williams’ song cycle setting of poems from Victorian writer Dante Gabriel Rossetti’s sonnet cycle House of Life. I really enjoyed writing my thesis, and my committee was very supportive of my interdisciplinary project, but I noticed early on how hard it was to write about music for a non-musical audience (I was writing this for honors in English rather than in music). Although I included a copy of the score and cd of the song cycle with the text of my dissertation, I felt that those additions weren’t sufficient. I wanted to be able to include excerpts of relevant parts of the audio file and score directly into my argument so my audience could immediately hear and understand my points. At the end of my senior year, I presented an hour-long talk on a chapter of my thesis and played excerpts of the songs on the piano to highlight parts of my argument. My audience found it very helpful, and this led me to start thinking about how to recreate that live, multimedia experience. Once I started my PhD program at UVa and began to learn more about digital humanities through NINES and the Scholars’ Lab, I realized that digital humanities was the solution to my problem. Q: You’ve been awarded several fellowships in digital humanities: the Scholars’ Lab Fellowship, the Praxis Program Fellowship and the NINES Fellowship. How did the support you received from these fellowships allow you to excel in your field? A: I couldn’t have built either of my sites without these fellowships! The NINES fellowship first introduced me to the world of digital humanities: it gives up to six students a year who have a digital project in mind some money and advisory support to start figuring out how to make the project a reality. They essentially gave us a reading list to make us conversant in the basic ideas of the field and then gave us as-needed support: I learned about TEI (a markup language for scholarly text) and about some principles of web design and development, but most importantly, NINES helped me think through my project and figure out how to set it up, who my audience should be, and how I wanted users to progress through the site. With their help, I was able to make a working template ofSongs of the Victorians, which I demonstrated at conferences. I then received a Praxis Fellowship from the Scholars’ Lab: this was a new program to redesign digital humanities training for graduate students. Six of us were chosen to work with Scholars’ Lab staff members: they gave us a crash course in all aspects of digital humanities, from project management to design to programming, and then we worked together to put our learning into practice by building a digital humanities tool. We made Prism, a tool where users collectively interpret a document and then share their interpretations (the version you’ll see if you follow the link is a new and improved iteration of the project that was produced by the next group Praxis fellows. Our version set the groundwork for theirs). I was lead developer, so I got lots of experience working in a group and figuring out how to build what our teammates described. This experience helped me get a Scholars’ Lab Fellowship the next year: for this fellowship, I was given money and lots of support from the Scholars’ Lab to finish building , Songs of the Victorians and to start making Augmented Notes. Thanks to this fellowship, the frameworks for both projects are complete, and I’ll be releasing Augmented Notes and adding the remaining text for , Songs of the Victorians in the next two months. Q: Tell me more about your website, ‘Songs of the Victorians.’ It functions are both an academic tool for music and poetry and an archive of four parlor and art songs. What inspired you to create it? A: As soon as I knew that the final chapter of my dissertation would examine parlor and art song settings of Victorian poems, I knew that I needed to build a website where I could augment my argument with the score and the audio file so even readers who can’t follow a score could follow my analysis. I built my site so that for every song, users can play an audio file and each measure of the score will be highlighted in time with the music. The archive portion lets my viewers examine the songs and audio files for themselves and come up with their own research questions or arguments without having to travel to see the scores in person (most of them are in the UK), and the analysis portion lets me make my interdisciplinary argument clear, since users can hear and follow an excerpt of a song as they read about it. I decided to make my argument free, online, and open to the public, rather than behind a password-protected webpage because I wanted people to think of sites like this as opening new possibilities for interdisciplinary publication. So many people want to write about music and its connections with other arts, but don’t know how to publish their ideas, because their messages would get lost on paper without an audio file that is integrated with the score. In publishing my interdisciplinary arguments online with this new framework, I hope I can set a precedent that will help further discussion. Q: What are your thoughts on the paradox that exists between the song’s lyrics and its intended utility? A: Because the lyrics on their own seem to endorse traditional Victorian patterns of courtship and marriage, it’s likely that lots of people didn’t see anything unusual about the song and therefore performed it as a traditional love song. This would help account for the song’s popularity: if it had been an openly rebellious song, women would not have been permitted to perform it in the parlor and it would not have sold as well as it did. But for people who already thought of Victorian marriage as an unjust institution, or for people familiar with Norton’s political career, the song would provide them with a way of critiquing marriage while seeming to endorse it. Because these subversive characteristics are so hidden in the song and because audiences would expect women to sing a simple love song in the parlor, women could sing this song and endorse its political message without all their listeners understanding its subversive nature. Basically, the song needed to seem paradoxical in order to make its point. Q: ‘Juanita’ was written in London during a time in which feminism was not yet recognized in the country- the movement didn’t reach Great Britain until the 1890s. At the time of its release, do you think the song’s context was fully recognized? A: I think it would depend on who was listening to or singing it. Many people might miss its political message, in part because of the way the song appears to follow conventions and in part because of where the song would be performed, but anyone who paid attention to the composer’s name might have been able to figure it out. After all, Caroline Norton had famously left her husband since he was abusive, and she campaigned extensively to have her children returned to her (fathers got custody of children in all cases at the time) and also to actually own her earnings—married women were not allowed to own property, even royalties from their own literary or musical products. Her advocacy led to the Infants and Child Custody Bill (1839), occasionally dubbed “Mrs. Norton’s Bill” by those who thought she’d overstepped her bounds by getting involved in the supposedly masculine enterprise of politics, and, after the publication of “Juanita,” to the Matrimonial Causes Act of 1857 and the Married Women’s Property Act of 1870. In the year “Juanita” was published, her husband refused to pay her the allowance she was promised, since he claimed that as married women had no legal standing, their contract stipulating her allowance was void. Since Norton’s name was associated with women’s rights before, during, and after the publication of “Juanita,” lots of people had the opportunity to consider the song’s political purpose. Any women who sympathized with Norton’s ideas might have received a special pleasure from singing this song, knowing they were critiquing marriage while seeming to endorse it. Q: I’d like to discuss the website and software you’re currently creating called Augmented Notes. What will it be used for? A: Augmented Notes is a tool that will help people build sites like Songs of the Victorians. Since Songs of the Victorians went live, I’ve had lots of scholars ask me if I could build similar sites for them or consult on their projects that bring together music and poetry. Although I’d love to help them, I definitely don’t have the time to construct that many sites, since just building and improving my site takes up a lot of time. But, because I believe in furthering this interdisciplinary cause, I wanted to help people who don’t have time to learn all the programming skills that I’ve picked up make their arguments, so I’m building Augmented Notes to help. Q: Let’s talk about being a woman in your discipline. Historically, are there many women in this field? A: I’m very fortunate in that English tends to have lots of women in the field, and I have many wonderful women role models who are professors of Victorian poetry, including Linda Hughes, Alison Chapman, Yopie Prins, and Phyllis Weliver, to name just a few. 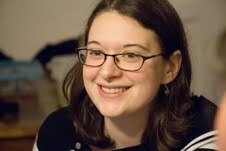 There are also some very prominent women in digital humanities as well—Bethany Nowviskie (head of Scholars’ Lab and president of the Association for Computers and the Humanities) has been as wonderful role model, as has Dana Wheeles (former Project Manager of NINES), and Natalie Houston and Alison Booth have also been excellent mentors. Q: What are your experiences as a woman in this field? A: Sadly, while having lots of women in the field is incredibly helpful and important, it doesn’t mean the discipline is free of sexism. I’ve definitely had people tell me I shouldn’t write on women poets (because people think they’re inherently inferior to the male poets), that I must be taking credit for someone else’s programming work because, as a woman, there’s no way I could understand computers, and that talking about feminism in literature is uninteresting and needlessly political; I’ve even had someone start yelling at me during a conference when a friend and I asked someone to not use a term that’s derogatory towards women. I’ve also had a few unfortunate experiences in which male professors and staff members (please note: not anyone at UVa) didn’t respect personal boundaries at conferences (for example, someone once grabbed my nametag where it hung next to my chest and pulled it off over my head without permission, dragging his hands as he went). Fortunately, these experiences are rare, but, when talking with other women grad students who have shared similar stories, these stories are not nearly as uncommon as they should be. I’m glad that academia has come a very long way in the last thirty years, but, like everywhere else, it still has a long way to go. Overall, though, the community of English professors is incredibly supportive and welcoming, and I’m happy to be in this field. Q: What advice can you offer to young girls and women looking to pursue this kind of career? A: There’s been a lot of debate recently about whether grad school is a good idea or a terrible idea: some people argue that it’s a waste of time and money, since academic jobs are so few and far between and since they don’t pay very well. Some people see it as an isolating occupation because we read and write so much on our own. I definitely understand all these perspectives, but for me, it’s been the right choice. I love my research, I love sharing my ideas with my colleagues and friends, and I really love teaching and helping students understand why Victorian poetry is so fantastic. I also love being surrounded by people who, by and large, are passionate about discussing feminism, the representations of women in popular culture as well as in literature, and how we can make a difference. I’m also grateful to be friends and colleagues with so many strong, intelligent women who are not afraid to speak their mind, to stand up for their beliefs, and to be unapologetically articulate and confident. So, I would say to young girls and women that English, Victorian poetry, and digital humanities are all great careers: the problems we encounter you would find anywhere else, but the benefits far outweigh them. Don’t let people try to convince you that you can’t program, or that a PhD will be too hard, or that you’ll have to wait too long to start a family: it will be hard work and lots of long hours, but you can do it!